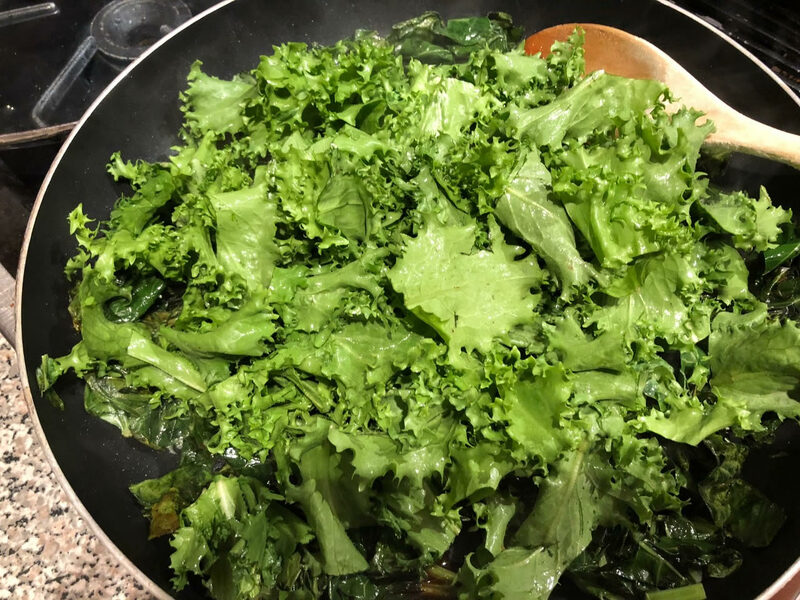 … or kale, swiss chard, any bitter greens really. I love the health benefits of all bitter greens, but I rarely have time to slow braise them to bring out the sweetness. 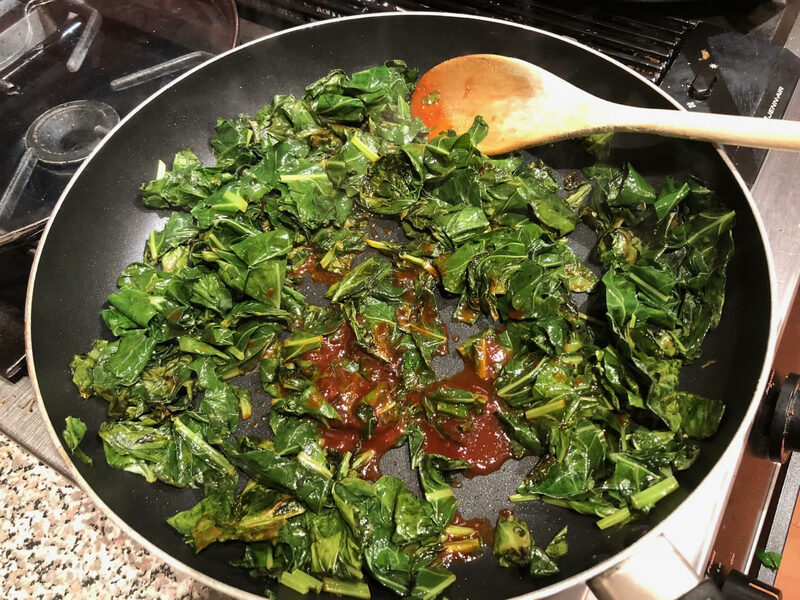 A quick sauté with Bell Pepper Jam and these greens are flavorful, sweet and still full or nutrients. In 10 minutes. 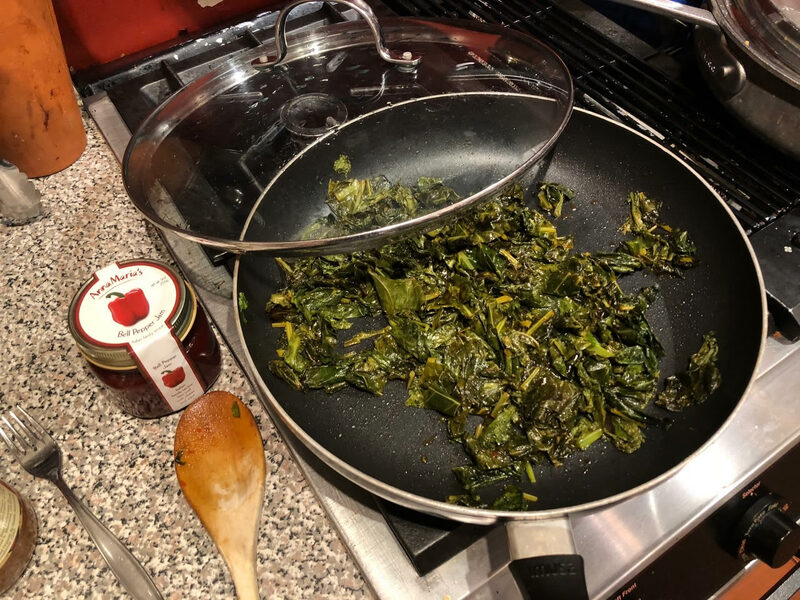 I cooked some collard greens and frisee lettuce from this weekends farmer’s market and the result where yummy. Even the kids will eat them. 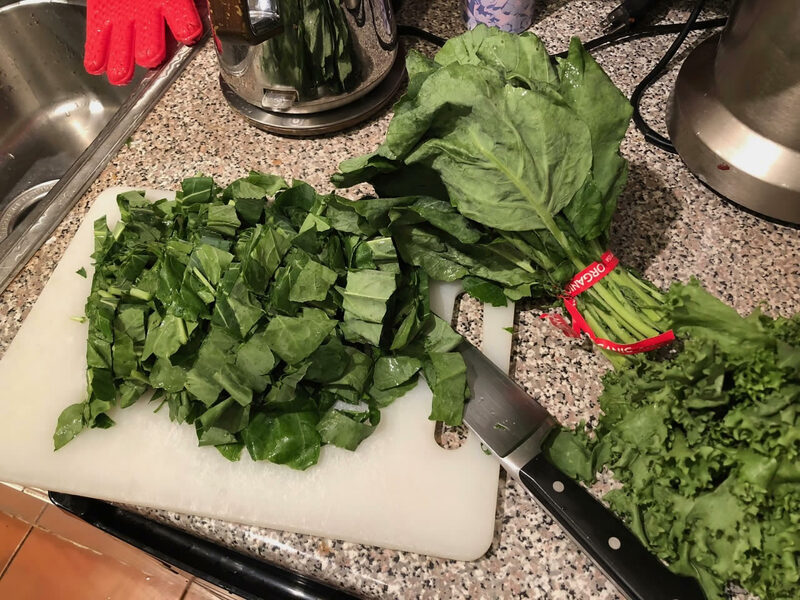 Wash collard greens and frisee and chop in big pieces. Heat a large sauce pan. Pour the EVO and place collard greens. Cover to steam, open to stir and repeat until collards are well wilted. Add the frisee and stir and steam like before. 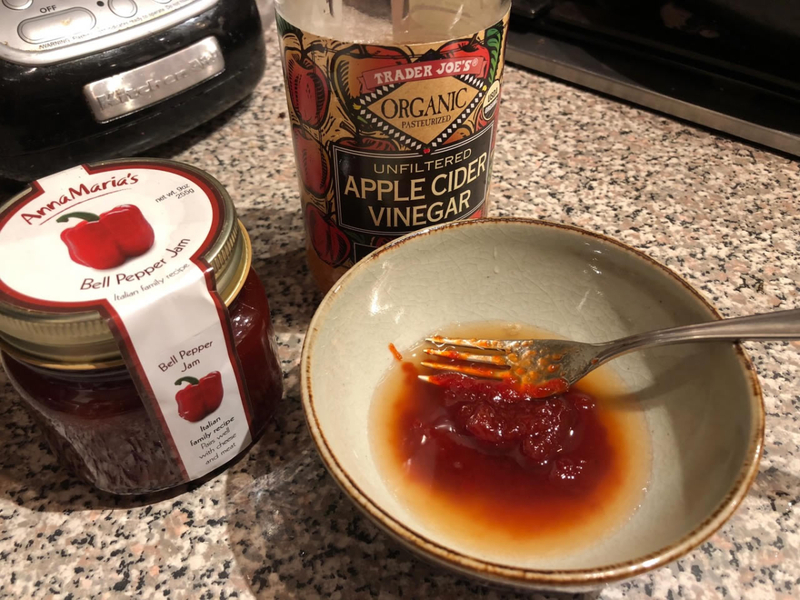 Mix Bell Pepper Jam and Cider Vinegar. Add to greens and stir and steam to your desired consistency (I like to retain a bit of crunch in mine). Salt to taste.